HOW TO USE: Read the Patient Information Leaflet if available from your pharmacist before you start taking this medicine. If you have any questions, consult your doctor or pharmacist. Take this medication by mouth with or without food. You may take it with food or milk to minimize stomach upset. Take this medication as soon as flu symptoms appear or as soon as possible after you have been exposed to the flu. Oseltamivir works best if you start taking it within 2 days of either of these events. 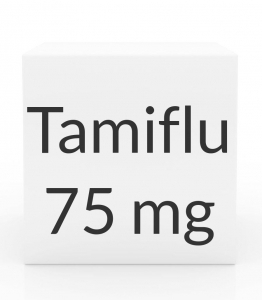 If you have the flu, take oseltamivir as directed by your doctor, usually twice a day for 5 days. To prevent the flu, take oseltamivir as directed by your doctor, usually once a day for at least 10 days. Follow your doctor's instructions for how long to take this medicine. The dosage is based on your medical condition, kidney function, and response to treatment. In children the dosage is also based on weight. This medication works best when the amount of medicine in your body is kept at a constant level. Therefore, take this drug at evenly spaced intervals at the same time(s) every day. Continue to take it for the full time prescribed. Stopping the medication too early may allow the virus to continue to grow, which may result in a relapse of the infection or failure to protect you from the flu. Tell your doctor if your condition persists or worsens or if new symptoms appear. SIDE EFFECTS: Nausea and vomiting may occur. If either of these effects persist or worsen, notify your doctor or pharmacist promptly. Remember that your doctor has prescribed this medication because he or she has judged that the benefit to you is greater than the risk of side effects. Many people using this medication do not have serious side effects. The flu itself or oseltamivir may rarely cause serious mental/mood changes. This may be more likely in children. Tell your doctor right away of any signs of unusual behavior, including: confusion, agitation, self-injury. A very serious allergic reaction to this drug is rare. However, get medical help right away if you notice any symptoms of a serious allergic reaction, including: rash, itching/swelling (especially of the face/tongue/throat), severe dizziness, trouble breathing. This is not a complete list of possible side effects. If you notice other effects not listed above, contact your doctor or pharmacist. In the US - Call your doctor for medical advice about side effects. You may report side effects to FDA at 1-800-FDA-1088. In Canada - Call your doctor for medical advice about side effects. You may report side effects to Health Canada at 1-866-234-2345. PRECAUTIONS: Before taking oseltamivir, tell your doctor or pharmacist if you are allergic to it; or if you have any other allergies. This product may contain inactive ingredients, which can cause allergic reactions or other problems. Talk to your pharmacist for more details. Before using this medication, tell your doctor or pharmacist your medical history, especially of: kidney disease. Before having surgery, tell your doctor or dentist about all the products you use (including prescription drugs, nonprescription drugs, and herbal products). During pregnancy, this medication should be used only when clearly needed. Discuss the risks and benefits with your doctor. This medication passes into breast milk. Consult your doctor before breast-feeding. DRUG INTERACTIONS: Drug interactions may change how your medications work or increase your risk for serious side effects. This document does not contain all possible drug interactions. Keep a list of all the products you use (including prescription/nonprescription drugs and herbal products) and share it with your doctor and pharmacist. Do not start, stop, or change the dosage of any medicines without your doctor's approval. Tell your doctor if you have received flu vaccine in the nose within 2 weeks before treatment with this medication. This medication may lower your protection from flu vaccine given in the nose. Wait at least 2 days after ending treatment with this medication before receiving flu vaccine given in the nose. NOTES: Do not share this medication with others. This medication is not a substitute for the flu vaccine. Consult your doctor about the risks and important benefits of receiving a yearly flu shot to lower your chances of getting the flu. MISSED DOSE: If you miss a dose, use it as soon as you remember. If it is within 2 hours of your next dose, skip the missed dose and resume your usual dosing schedule. Do not double the dose to catch up.